Sharon M. Greis, MA CCC/SLP BRS-S is a Speech/Language Pathologist with a specialty in feeding and swallowing disorders and neuro-developmental treatment. 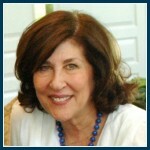 She is a Board Recognized Specialist in Swallowing & Swallowing Disorders. She is proud of having helped numerous infants, children, and their caregivers overcome feeding and swallowing problems. She was a Senior Speech Pathologist in the Pediatric Dysphagia and Feeding Center at The Children’s Hospital of Philadelphia for the past 15 years. She was the director of a community based feeding program at United Cerebral Palsy Association of Philadelphia for children birth to five before coming to CHOP. She has presented numerous seminars and workshops on pediatric feeding and swallowing evaluation and treatment both nationally & internationally. She is an adjunct professor and clinical supervisor at LaSalle University and has taught the course on Pediatric Dysphagia in the Graduate Program of Speech-Language Pathology. For more information about private Oral/Motor Feeding Consultations, please contact our office at 215-735-5600.